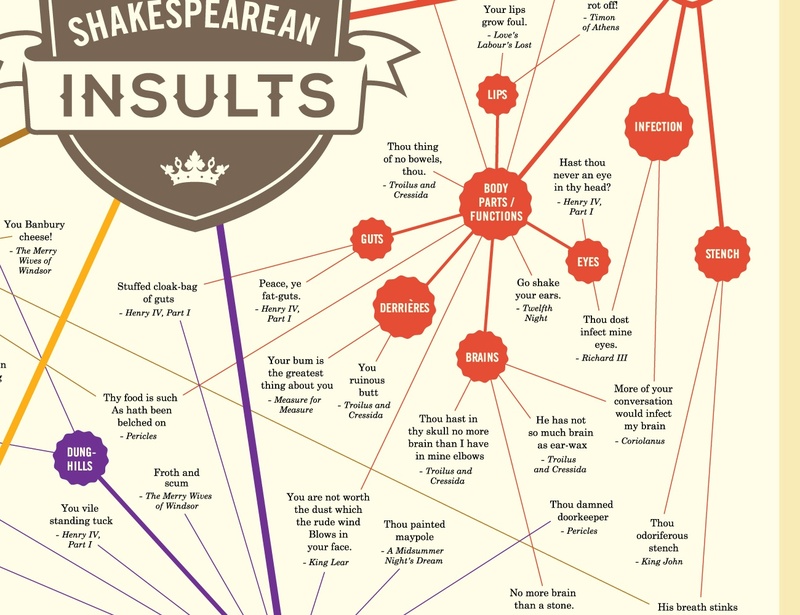 Brush up on your wit with the Shakespearean Insults Chart. This is a collection of all of the literary master’s retorts, snubs, and taunts. 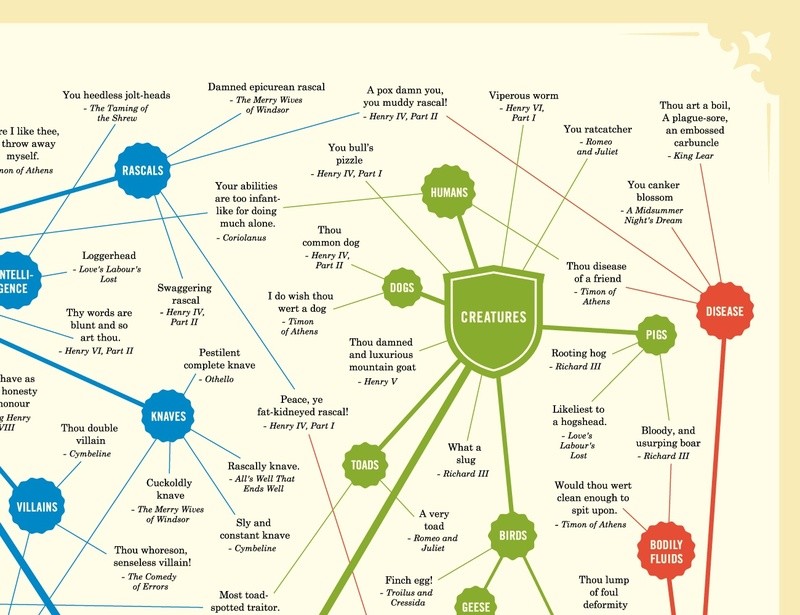 Brush up on your wit with the Shakespearean Insults Chart by Charley Chartwell. 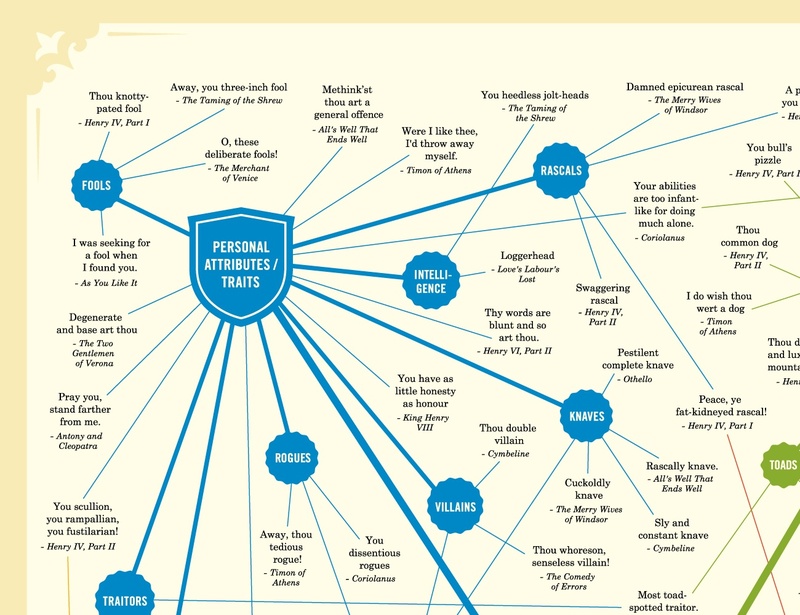 This is a collection of all of the literary master’s retorts, snubs, and taunts in a beautiful, easy to understand chart. 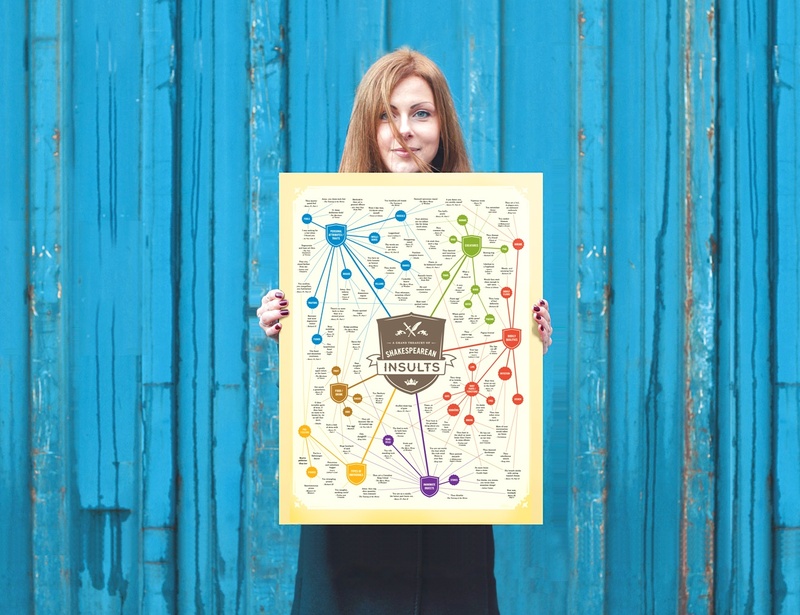 The Insults Chart organizes the phrases and words according to categories. 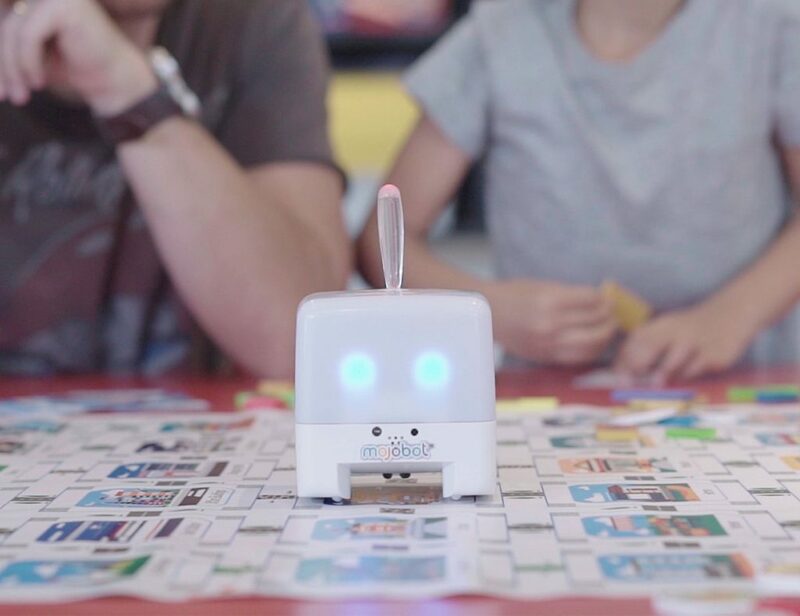 These include things like body parts and functions, types of individuals, food/drink, and even creatures. 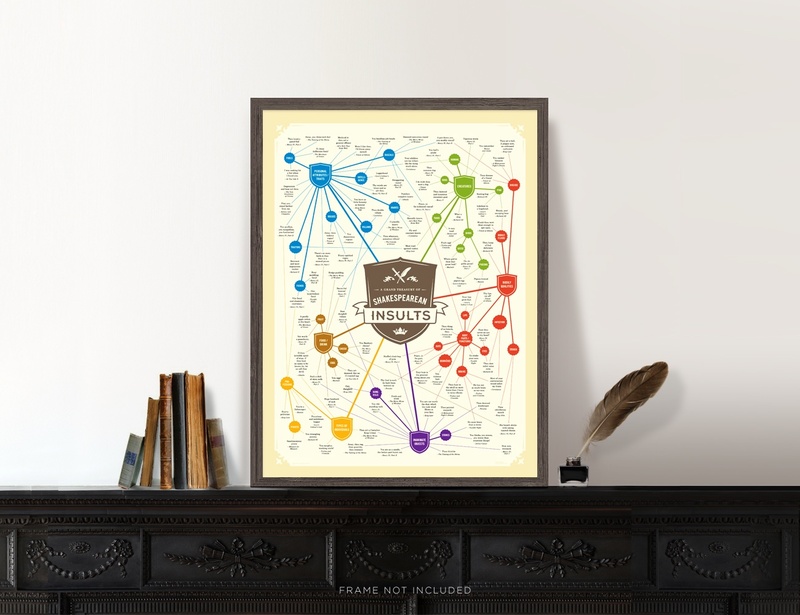 Perfect for any literary lover, the Insults Chart is a wonderful addition to every interior. Additionally, the thoughtful layout is intuitive to follow whether you’re reading them all or after some certain surly slander. Each main category comes in a different color and extends into sub-categories for particular subjects (like guts, dunghill, and pirates). Finally, the exact phrases extend from the category and are written in black. 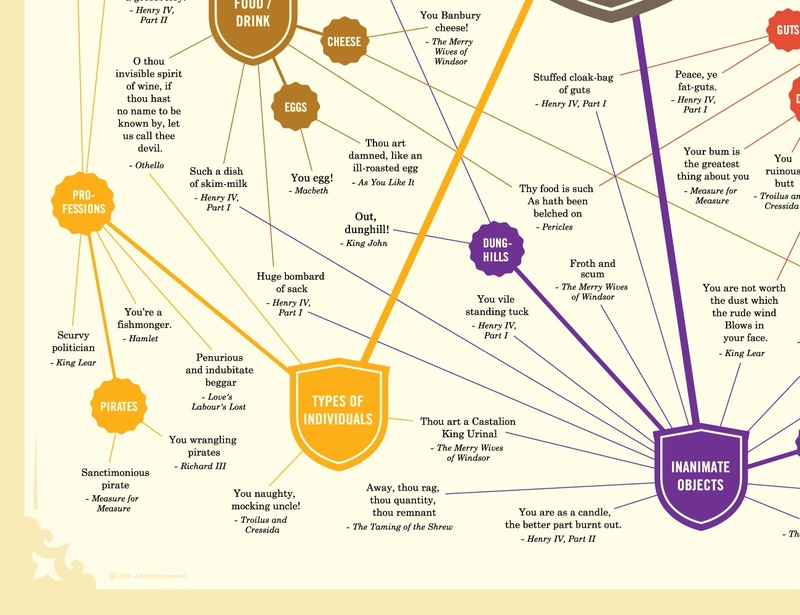 In addition to the phrase, the Insults Chart also shows from which piece of literature it comes.